Sell Ocala home fast for cash. Sell Ocala home fast for quick cash. Call 866-989-1746 to sell your house today online without a realtor. 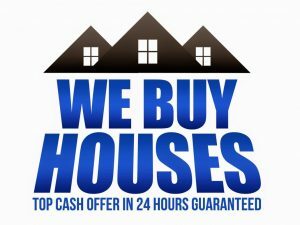 I buy homes and houses in Ocala Florida for cash and I close fast. I know homes are rarely perfect. With me, you don’t have to paint, clean or make repairs if I buy your house. I buy in “as is” condition. How much do I pay? I try to give you what you think the house is worth. Sometimes I can if you realize I expect to make a small profit. You don’t have to pay a commission and I pay all the closing costs. You even get to pick the closing date. Click here to sell your Ocala home fast for cash. You are under no obligation and it is free for us to evaluate how much we will pay for your home. There are many reasons why someone might need to sell a house fast. Does one of the following apply to you? Moving because of a new job. We can help. Click here to sell your Ocala Florida real estate for cash. Since I am not an Ocala realtor or realty company. It’s just me Todd Hutcheson. My goal is to buy 6 homes in Ocala and 1 large tract of land in the next 2 years. Although I can pay cash, I can give you more for your home or land if you are willing to finance the sale. Some people want to finance to save on income taxes. Ask you accountant if this might be right for you. If you finance, you will have the right to call the loan anytime after 4 years with 90 days notice. Good luck and Go Gators. I worked at Ocala Jai-Alai when I was in college at University of Florida. I am also looking for duplexes and small apartments to buy in Gainesville. Most of all, we buy houses in Ocala.